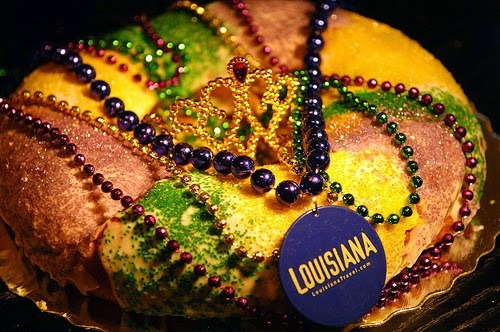 Thinking about all the King Cakes I have made...it has been a while.. you can read about them here - back in 2009. I think I baked about 10 of them that year...Camera Guy actually helped me with the sparkles and I think we saw sparkles in the house for months after! You are pro at cake baking.I love all your handmade cakes.I have been learning so many baking related tips and tricks from you time by time.